To work as a Phlebotomist in the State of California, you must become certified by the California Department of Public Health Laboratory Field Services. Effective April 9, 2003, all persons performing phlebotomy who are not California licenses physicians, nurses, or clinical lab scientists, must be certified as a phlebotomist before they can draw blood. Costs: California residents pay $26 per unit enrollment fee. A higher tuition is charged for non-residents. 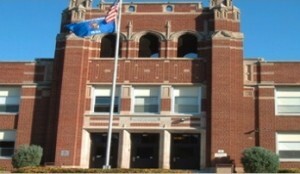 Students must also pay for books, supplies, uniforms, a background check, and examination fees. 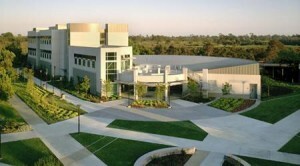 In order to be considered for entrance into the San Diego Mesa College Phlebotomy Training Program, students must complete English and match placement requirements. You must also provide one professional letter of recommendation and a personal statement describing your goals for becoming a Phlebotomy Technician. Additionally, you must be 18 or older and have a high school diploma or GED. Students must complete a minimum of 50 to 100 successful venipunctures, 25 successful capillary punctures, and observe 2 arterial punctures. 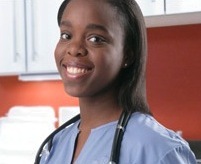 Upon completion, students will be awarded a Certificate of Performance in Phlebotomy. After passing the American Medical Technologist exam, students must apply to the State of California for licensure as a Certified Phlebotomy Technician 1 (CPT1). U.S. 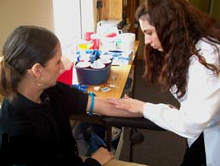 Colleges Phlebotomy Certification Course includes 40 hours of lecture and 40 hours of mandatory externship. During your externship, you will get hands-on practical instruction that will allow you to make a smooth transition into the workplace. Please fill out the contact form on the website or call for more information. In order to qualify for the Family Health Services Phlebotomy Training Program, students must have a high school diploma or GED. Students with no prior experience in phlebotomy must complete 40 hours of classroom instruction, 50 hours of practical instruction, and 80 hours of a clinical internship in a clinical or healthcare setting. 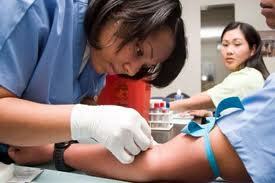 Those with at least 6 months of recent experience in phlebotomy must complete 40 hours of classroom training. The classroom component may be completed online and is available to participants throughout the country as well as California. The internship may be completed at local facilities. Upon completion of the program, students will receive a state-approved training certificate and must also pass a state-approved national certification exam. To qualify for Health Career Specialist’s Phlebotomy Certification Program, students must be a high school graduate or have a GED. Proof of higher education may be provided in lieu of high school graduation. A student with no prior phlebotomy experience must complete 40 hours of class training and 40 hours of phlebotomy practice, including at least 50 venipunctures and 10 skin punctures. You can attend a free information session by filling out the contact form on the website or calling directly. The Kaplan College Phlebotomy Technician Certificate Course provides you with the training and hands-on skills to draw blood and understand phlebotomy procedures in a clinical or laboratory setting. The course consists of lecture and lab hours. Lab sessions include drawing blood, practicing capillary draws, butterfly draws, venipunctures, and working with phlebotomy equipment. The course is graded on a pass/fail basis. Students who pass the course will receive a certificate of completion. Certification costs are included in the tuition. For more information, please fill out the form on the website. The San Diego County ROP offers a Medical Lab Assistant and Phlebotomy Technician Training Program that prepare students for entry-level jobs in the healthcare industry. The ROP training courses are offered tuition free. Students just have to pay for classroom fees and books, so it is a great option for those on a budget. Check the website for course offerings.